Officer with sword. Bugler sounding the call. Riflemen firing from the standing and kneeling positions. Riflemen crawling, lying, running, walking, Riflemen standing to attention. Riflemen marching at the slope. Riflemen with fixed bayonets - on guard and charging. 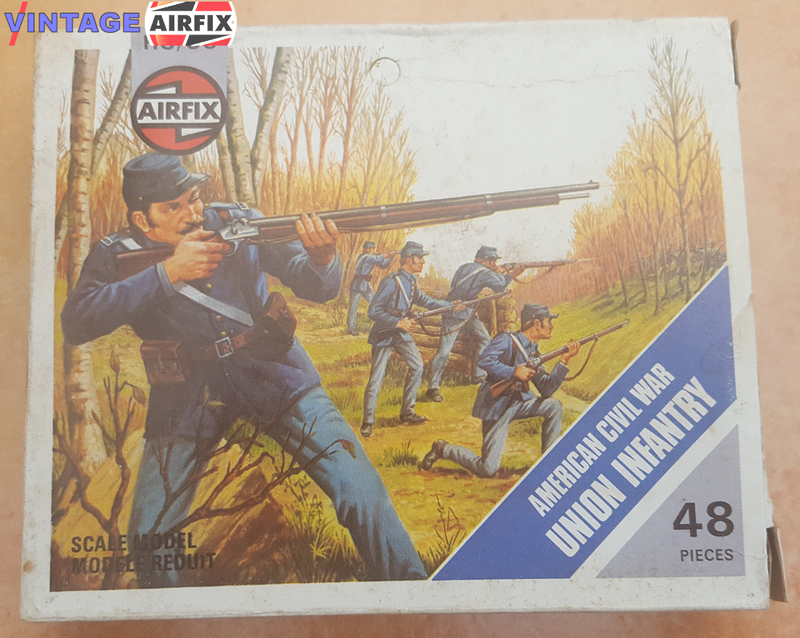 You get them all in this superb 48-piece set of Union Infantry in the American Civil War.